Scarab is a robot that uses 2 touch sensors to detect obstacles. 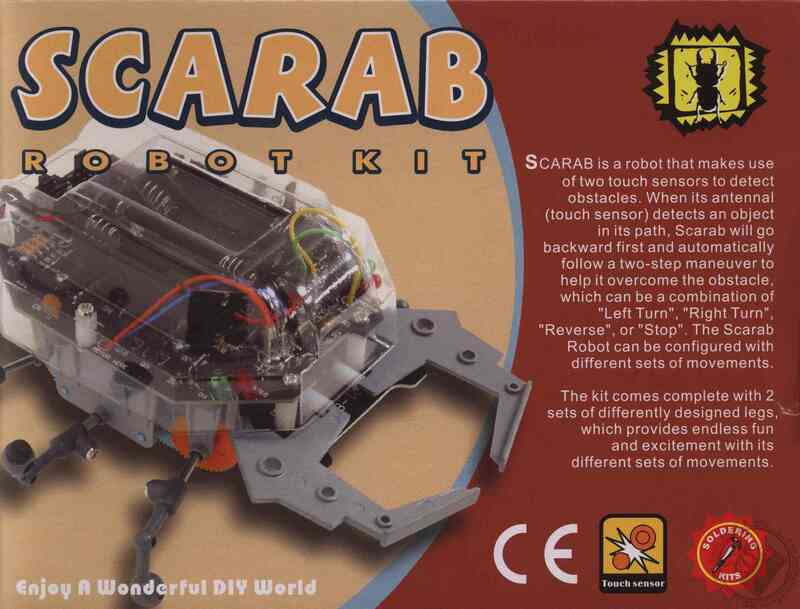 When its antennas (touch sensor) detect an obstacle; Scarab will first step back and then automatically execute a two-step manoeuvre to avoid the obstacle. The manoeuvre is a combination of left turn ; right turn ; reverse or stop . 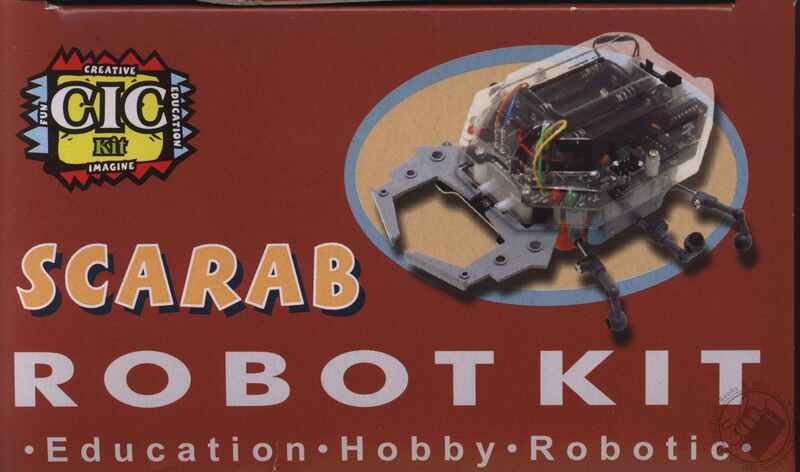 The Scarab Robot can be configured with different sets of movements. 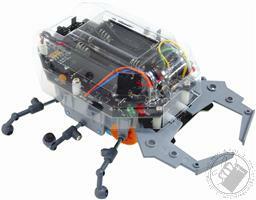 The Kit comes complete with 2 sets of differently designed legs; which move in their own distinct way. Let the learning begin! Elenco was founded more than 30 years ago by 2 engineers. The core of Elenco is still their strong engineering and design skills. Their test equipment has been proven to be reliable as well as affordable. 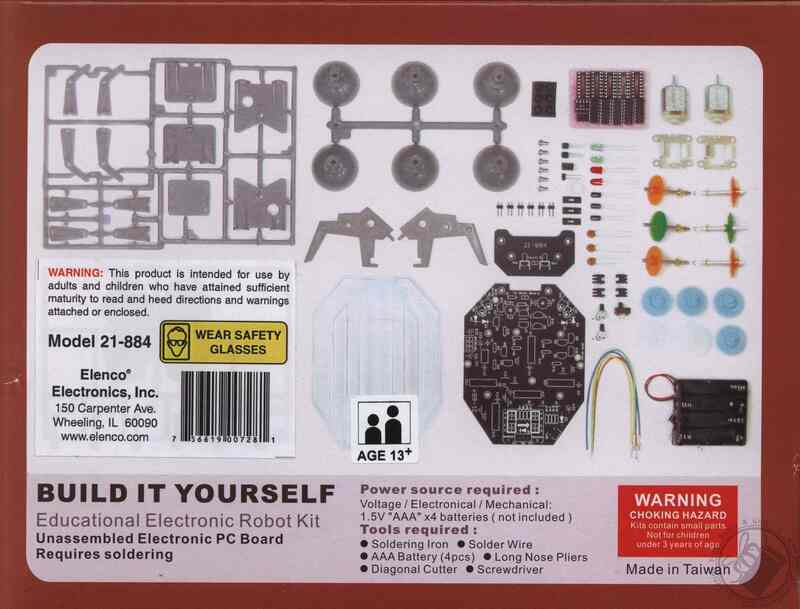 With Elenco, you learn electronics by doing electronics.